Thanks everyone for your contest submissions! My Whiteboard Art contest has now ended. 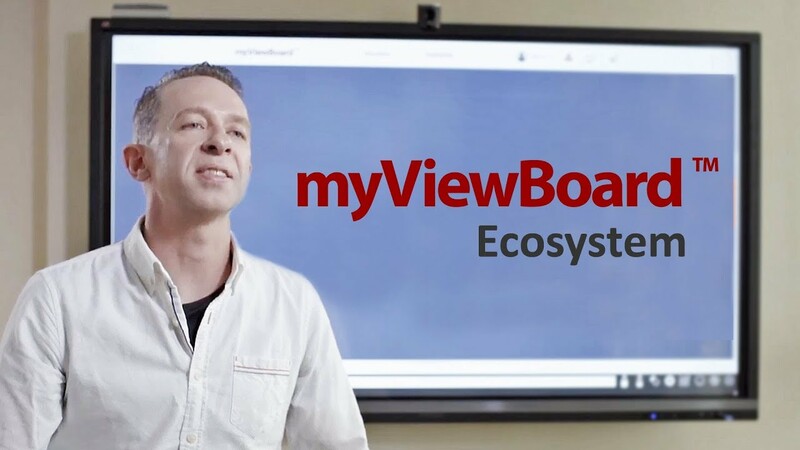 For future updates and contests, be sure to follow ViewSonic’s Global, myViewBoard, and Education facebook pages! Tell your friends, classmates, students, and Instagram followers to vote for the best photo. The photo with the most "likes" will win a portable projector for the classroom of your choice! Did You Hear? You Won! The winners will be contacted between May 1st and May 10th (for UK), 2019 via e-mail. Follow us on Facebook to keep track of the latest contest-related news, and to have a peek at other contestantsâ€™ submissions. If you follow these steps, you will automatically be entered into the contest. And your Instagram photo will be displayed in the gallery on the front page! 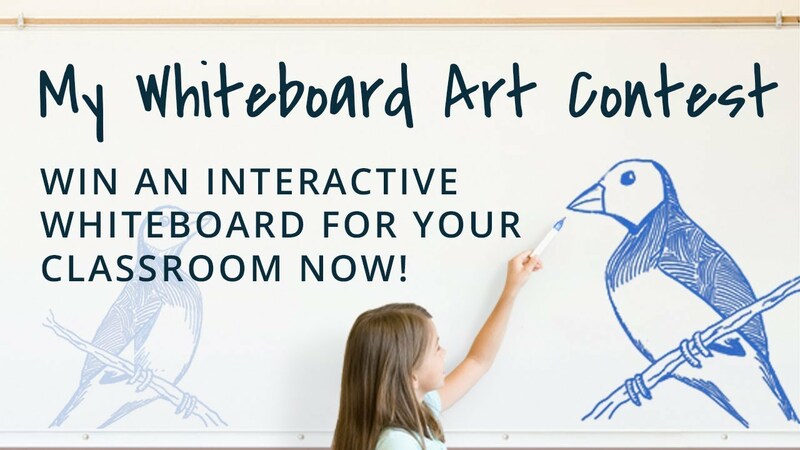 Win the best digital whiteboard (ViewBoard) for the classroom, or a portable projector (M1) for yourself! Dreaming of having the BEST Teaching/Learning TOOL in your classroom? Dream no more, ViewSonic is here to help make it a reality! Now youâ€™re only one step away from the grand prize, a Digial Whiteboard (market value of $6,000). The most beautiful finch submission will be awarded an Interactive Whiteboard, and donated to a classroom of the winnerâ€™s choice. An Ultra Portable Projector will be awarded to the most liked photo on Instagram for the winnerâ€™s personal use! These Go to Your School! And These Go to You! Your photo submission must meet these defined requirements or else your artwork will be disqualified from the competition. This contest is run by ViewSonic International Corporation, with its address at 9F, No. 192, Lien Chen Road, Zhonghe Dist., New Taipei City, Taiwan (â€œViewSonicâ€�). a.) Employees of ViewSonic (including its affiliated companies) and their relatives are ineligible for participation in the contest. false or misleading statements regarding the participation in this contest. d.) Participants from each country will be judged separately. e1. Minors below 13 years old are not allowed to participate in this contest, barring consent and participation from their legal guardians. In such a case, they should seek the consent of their legal guardians and request their legal guardians to submit the drawing using the aforementioned legal guardiansâ€™ Instagram account for and on behalf the minor(s). e2. Minors below the age of 18 and above 13 years old are allowed to participate in this contest, provided that they procure their legal guardiansâ€™ consent in advance. In such a case, ViewSonic may require evidence of written consent from their guardians. There is no requirement for a purchase of any good or service offered by ViewSonic or any third party. Purchase of any such good or service does not increase the contestantÂ´s chance of success in this contest. e.) Contestants must follow the myViewBoard Instagram account to attend this contest. g.) ViewSonic will, at its sole discretion, designate certain people to act as judges. These judges will, at their sole discretion, determine the most thrilling, creative, convincing photo for the 1st prize and 2nd prize. The judgesâ€™ decision is final and there is no possible recourse to any court. h.) The 3rd prize and 10 honorable mentions will be awarded based on the number of likes attributed to contestantsâ€™ Instagram posts. i.) The winners will be contacted between April 22nd, 2019 and May 3rd, 2019. The winners will be informed by ViewSonic via e-mail. Winners are required to respond to the notification e-mail within three days. A potential winner may be required to provide proof of ownership of the winning photo. If a winner fails to respond in a timely manner, ViewSonic reserves the right, at its sole discretion, to disqualify him/her and reassign the award the contestant with the second highest vote count. j.) Each participant agrees that in case of victory, his/her name may be published by ViewSonic, any of its social media channels, and potentially the press. k.) Photos of contestants will be shared on ViewSonicâ€™s social media channels or related websites. Photos entries may only be uploaded between January 14th, 2019 and March 31st, 2019. The winners will be contacted between the May 1st, 2019 and May 10th, 2019.
h.) A photo may not contain material that is unlawful, in violation of any jurisdiction. The Guidelines apply to the content of the video, its title, and its description. ViewSonic reserves the right to bar entries access to the competition, without offering any indication of reasons, and to remove previously approved photos. ViewSonic takes no responsibility for the contents of the photo entries. Upon participating contestants agree to fulfill all terms of the Guidelines. Participants agree to release and hold harmless ViewSonic from any third-party-claim arising out of any violation of the Guidelines by participants. The winner of the 2nd prize will select a school in the United Kingdom to receive aViewBoard S.
The winner of the 3rd prize will receive an M1 projector. The 10 winners of honorable mentions will each receive a Â£40 GBP Amazon eGift voucher. Participants transfer to ViewSonic and their legal representatives and assigns the irrevocable, unlimited, worldwide, free-of-charge, non-exclusive and transferable right to reproduce, disseminate, adapt, edit in full or in part (especially with regard to digitization or encryption of the contributions) (including, but not limited to, photo and / or other illustrations), in all known media and usage forms, with regard to protective rights also in all unknown media and usage forms for any purpose commercial or non-commercial, in particular worldwide for advertising, promotion, sales and merchandising purposes as well as the name, the picture and the photo of each participant in this context free of charge in its sole discretion. In as far as copyrights are concerned, the conditions customary in the industry must be offered by the participant for still unknown uses. The participant agrees that he/she does not receive any compensation for the use of the contribution. Legal claims remain unaffected. ViewSonic is therefore also entitled to transfer the rights of use to third parties and to alter and adapt the participantsâ€™ contents. Any injury or damage to persons or property which may be caused directly or indirectly, in whole or in part from participants participation in the contest. If for any reason a participantÂ´s photo is confirmed to have been erroneously deleted, lost or otherwise destroyed or corrupted, participantÂ´s sole remedy is another photo in the contest provided that if it is not possible to submit another photo due to discontinuance of the contest, or any part of it, for any reason, ViewSonic, at its discretion, may elect to hold a random drawing from among all eligible photos or, as the case may be, received up to the date of discontinuance for any or all of the prizes offered herein. No more than the stated number of prizes will be awarded. b.) ViewSonic is responsible for prize delivery, but not for prize utility or quality or otherwise. c.) The reporting and payment of any taxes on prizes, if necessary, are the sole responsibility of the winners. d.) As far as is permissible by law ViewSonicÂ´s liability for damages is limited to gross negligence and intent. e.) Notwithstanding the foregoing, ViewSonic shall be liable for any negligent breach of essential obligations, the violation of which endangers attainment of the contractual purpose, or for the violation of obligations, the fulfillment of which is crucial for the proper execution of the contest or upon the compliance with which the contractual partners regularly trust. In this case, ViewSonic shall only be liable for the foreseeable damage typical for the contract. Delivering targeted advertising. We may use participantsâ€™ information to facilitate the delivery of targeted ads, promotions, and offers. Participants have the right to ask not to process their personal data for marketing purposes. At any time during the contest, participants may opt to withdraw from the contest. Within reasonable time upon notification, ViewSonic then will delete all data collected from participant including the uploaded video/photo. Participants may declare their withdrawal at any time to ViewSonic International Corporation, 9F, No. 192, Lien Chen Road, Zhonghe Dist., New Taipei City, Taiwan, Phone: +886 2 2246 3456. Revocation of the right to use participantÂ´s personal data is possible at any time. However, such revocation will necessarily be followed by exclusion of participant from the contest. This Agreement shall be governed and construed solely in accordance with the laws of Taiwan without giving effect to conflicts of law principles thereof, and only New Taipei District Court in Taiwan shall have jurisdiction in any conflict or dispute arising out of this Agreement. The same shall occur if any term, provision, covenant or condition shall be found missing in this agreement so as to constitute a gap in the regulations.